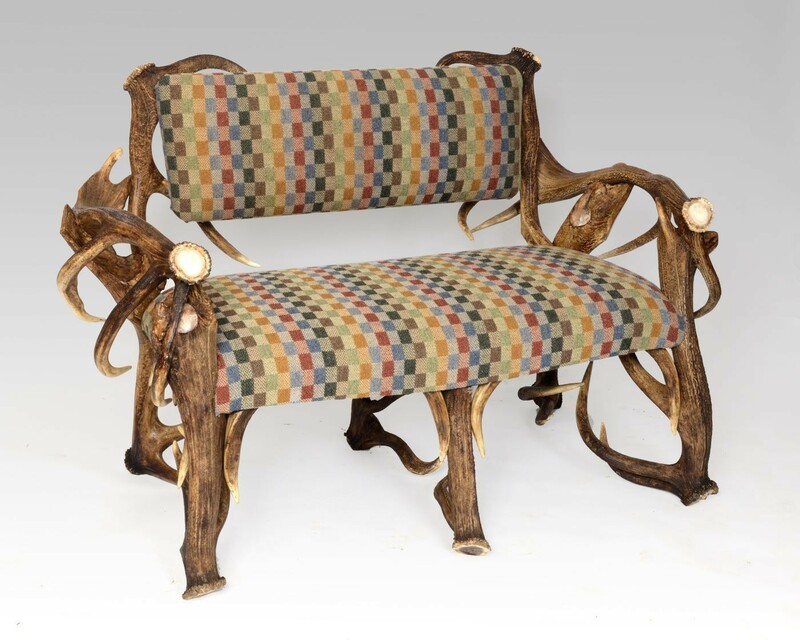 This impressive Huntly bench is made using particularly large Red Deer Antlers. Its a wonderful piece of furniture that can be upholstered in any fabric, leather or cowhide. The enormous Antlers used to make this bench come from farmed Red Deer. Its impressive.